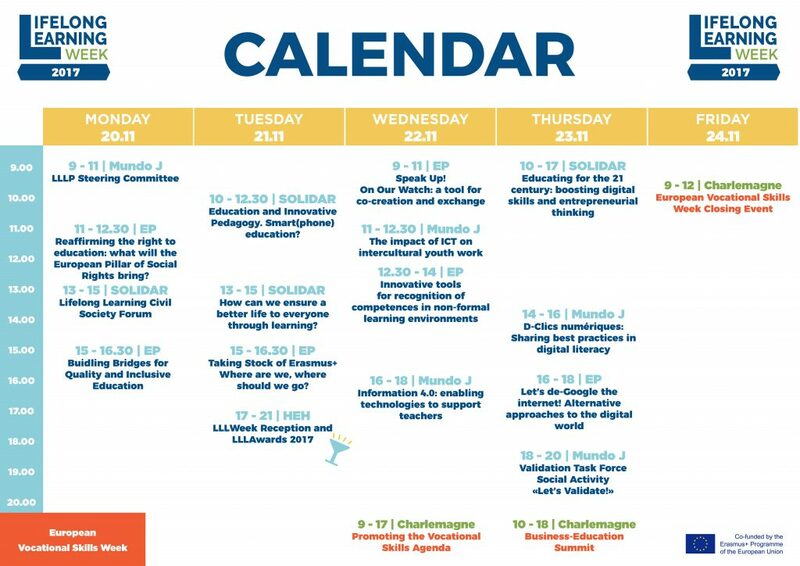 This year, the LLLWeek 2017 can count on 16 different events, on the most important topics dealing with “Education in the digital world”. Curious to hear more about the Erasmus+ debate, on inclusive education through media literacy, or on digital projects in local communities? Nowadays in Europe there is no equal and homogeneous welfare system to ensure the same fair living conditions for all its citizens. 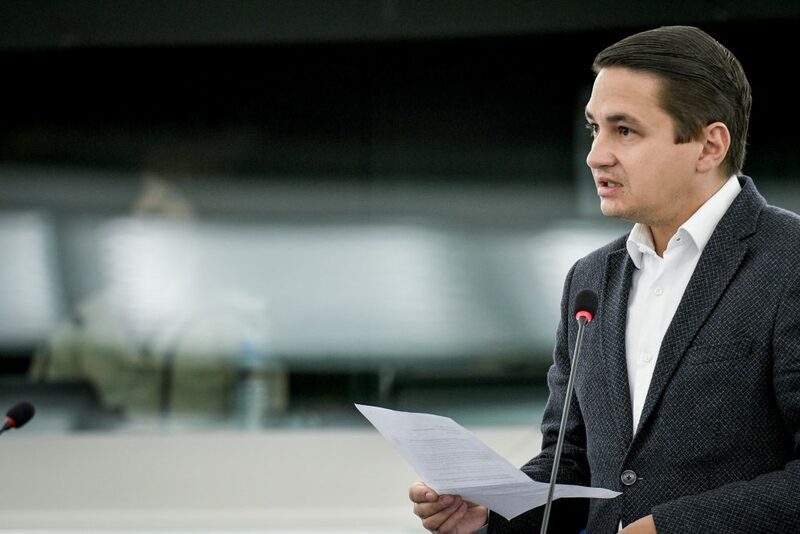 We believe education has a leading role in shaping societies for the better and we do believe that putting emphasis on it within the Pillar of Social Rights and starting its implementation with education could be a great first step to achieve the social rights that the Pillar is advocating for. Both a core priority of the SDGs (Goal 4) and one of the priority areas of the ET2020, the European Union and its Member States have committed through different policy processes to ensure that all young people have access to modern, high quality and inclusive education systems and that no one is left behind in these times of fast-changing technological, economic and social developments. During the debate, which will count with the presence of educational experts, member organisations of the European Youth Forum as well as other esteemed guests, we will aim at providing some answers. The rapidity with which smartphones have entered into our daily lives, in a almost all-encompassing way, is unmatched in human history. Smartphone Education. A Pedagogical Model for a conscious use of the Smartphone is an educational tool based on the Media Education methodology, addressed to teachers and educators to promote a critical and conscious use of the smartphone among young people. Discover the agenda of the event! This event will call upon participants to reflect upon the possibilities given to every age group in education. We want to raise awareness for the opportunities and benefits that adult learning (in all its forms) offers for improving lives, and on how underestimated those improvements are. We will also understand and analyse good practice examples from different sectors / areas of ALE that improve people’s lives. In the context of the mid-term evaluation and the 30th anniversary of the programme, the Erasmus+ Coalition has launched in September 2017 a campaign to gather transnational support and increasing commitment from EU and national representatives in reinforcing the programme. Building on the findings of the LLL-P 2017 Erasmus+ Survey, the 2017 Shadow Report of the European Youth Forum on ERASMUS+ implementation, this event will be an excellent opportunity for a constructive exchange of views between stakeholders and decision-makers on ways to make the Erasmus+ even more successful, corresponding better to the needs of its beneficiaries taking stock from its so far successes and dropouts. The Reception will be a joyful occasion to round up the year in the LLLP, with insights on the work of the EU institutions in the field of choice. Experts, academics, civil society organisations and MEPs will attend to talk about their past and upcoming activities, share a drink and congratulate the awardees. In fact, during the Reception, the award ceremony of the LLLAwards will celebrate outstanding practices in education and lifelong learning. Taking civil society manifestos as the basis of our analyses, the On Our Watch project compels us, civil society, to reflect on the impact of our tools, manifesto’s and pledge campaigns ahead of European elections. What has an NGO-activist-turned-MEP to say about the impact of NGO advocacy? What can a political party share with us about citizens’ and civil society input in the parties’ electoral manifesto’s? Can MEPs and their assistants lift a tip of the veil about their allegiance to pledge campaigns signed before the elections? And – last but not least – can we, as civil society, reflect on the impact of the tools we use? What tools can we develop to increase our impact in 2019? The event will aim at reflecting together on the factors to take into account when developing online and blended-learning intercultural programmes; integration of education on online hate speech, media literacy & privacy into the existing educational content of youth work and mobility programmes. 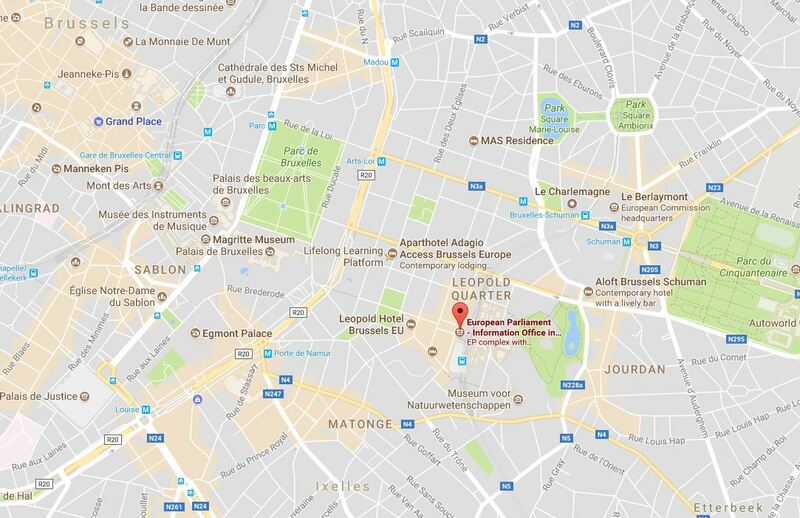 This interactive workshop will take place in the European Parliament and will present various digital tools developed in Scouting and the project European Badges Alliance of recognition of competences in youth work. Too often, in fact, educators lack the tools to recognise new, emerging skills in the digital world. Also, more ambitiously, we will try and answer the following questions: how could these new tools help in the revision process of the Europass? The fourth industrial revolution is bringing a major change to our world: for the first time, machines will be making decisions for humans, and artificially intelligent agents integrated into hybrid communities, interacting with people in all walks of life. This revolution poses important epistemological and ethical questions that require attention from all educational levels. In this event, we outline its global challenges, and highlight a framework where teachers and adult learners can quickly adapt to new technologies, especially since skill sets with increasing demand will favour learning-centred qualifications with heavy cognitive loads. One enabling technology that can help support digital literacy for teachers and give them access to policy and research to support their classroom practice is BERTiE – a purpose-built online search engine for educationalists which has been created at Bath Spa Institute for Education. The presentation will look at the principles behind its development, and the challenges going forward. More and more formal and non-formal education providers, NGOs, projects, etc. are focusing their efforts on equipping youth with digital and entrepreneurial skills. This event (consisting of two keynotes, a policy workshop, lightening sessions and breakout activities) aims to bring some of the main actors together and engage participants in a constructive exchange of best practices and fruitful discussions on the opportunities for synergies between different stakeholders. This event is organised in the context of the I-LINC project, which offers an online environment for networking, participation, and learning to boost the digital and entrepreneurial skills of young people. D-Clics numériques, is an educative project that started in September 2015. The project has been developed in France. But we are part of an European project, and the idea is to disseminate results, methodologies and skills at European level. Its main objective is to accompany the emergence of the new generation in order to become active and responsible citizens in the digital world. This workshop explores the potential educational and democratic uses of digital technology. The software and services offered by the major digital industries, which count education as one of their markets, promote a point of view that contradicts emancipatory educational practices. Given the freedom-depriving nature of this “digital technology,” what are the political challenges in a free and collaborative approach to digital technology that is respectful of the individual? This workshop aims to better understand the nature of the “open-source” movement, to fully grasp its close relationship with the values of public education. Secondly, it will explore the rich potential in open-source software and services, as well as the importance of our production attributions and the potential of Creative Commons licenses. The LLLPlatform Validation Task Force meets twice a year to discussion main policy developments in validation of non formal and informal learning. This year meeting takes place during the LLLWeek and will focus on innovative assessment methods for validation and upcoming initiatives using a dynamic and social format for exchanging and sharing. InnoVal (Innovative Assessment Methods for Validation) is an LLLP Erasmus+ funded project that aims to address the urgent need to offer valid and reliable assessment methods that allow all learners to have a chance at validation, with a special focus on the needs of disadvantaged groups such as refugees and early school leavers. 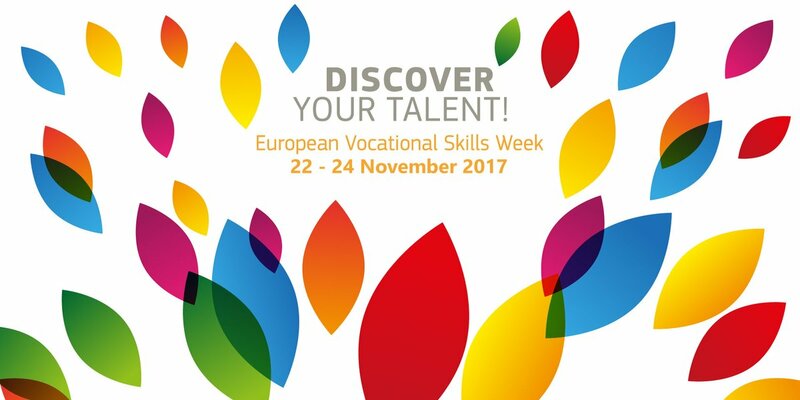 The Lifelong Learning Platform would like to invite you all to its second social event of the LLLWeek 2017, to present the project and assess where validation stands today and what’s coming next in the EU agenda. This meeting will feed to the European Commission EQF Advisory Board work plan 2018-2019 in implementing the Council Recommendation on VNFIL.